Books & Boos Press is pleased to announce that we will be publishing Abandoned by author Dan Foley. This novel tells the tale of a disturbed serial killer with abandonment issues, using horror and humor effectively throughout. Foley is the author of Intruder and The Whispers of Crows, among other works. 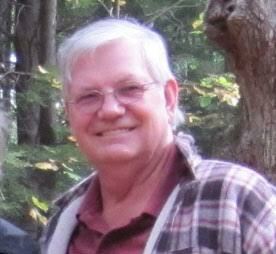 Since retiring as a nuclear engineer, he has been writing full time, and his short stories have appeared in numerous anthologies over the years. His short story “Roses for My Lady” won the Killer Kritique contest in Wicked Karnival, Issue 3, and his entry “The Merchant, the Witch, and the Christmas Tree” received an Honorable Mention in Wicked Karnival, Issue 5’s Twisted Fairy Tales contest. Abandoned is currently scheduled for release in June 2016. This entry was posted in Author, Publishing/book news and tagged Abandoned, Author, Books and Boos Press, Dan Foley, Killer Kritique, Stacey Harris, The Whispers of Crows, Twisted Fairy Tales, Wicked Karnival. Bookmark the permalink.